Purchasing the right tool is the key factor when tackling a large PEX project. Find what you will need from our wide selection of PEX Tools. Purchasing the ideal PEX tool is a key factor when tackling a large PEX project. Whether you are a DIY or professional, there are several options to consider before committing to a tool. Each of the various tools utilizes a specific system of fittings and rings dedicated to the PEX tool for which it is associated. The most popular options on the market today are: the Uponor ProPEX Expander System, PEX Clamp system, PEX Crimp system, and the Viega PEX Press System. The Uponor (Wirsbo) ProPEX Expander system is perhaps the most widely used PEX system by professionals in the United States. This system makes use of the Milwaukee ProPEX Expander Tool, ProPEX Fittings, ProPEX Rings, and PEX-a tubing. If PEX-a tubing (Engel method) is not used, the connections will fail. This system makes strong reliable connections that have never failed in the field. 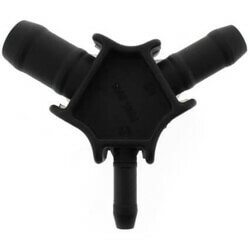 The Uponor (Wirsbo) ProPEX Expander Tool is available in three models: the M12, M18, and the ProPEX 201. The M12 Model is compatible with PEX sizes ranging from 3/8" to 1". The M18 Model has a slightly larger range and is compatible with PEX sizes ranging from 1" to 1-1/2". The ProPEX 201 Model is strictly used for commercial projects utilizing 2" PEX. 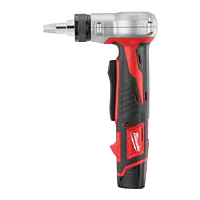 The Milwaukee ProPEX Expander Tool utilizes different size heads, each dedicated to a specific PEX size. 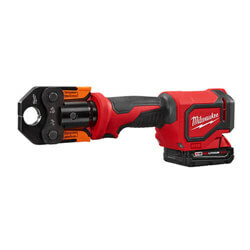 Each of the Milwaukee ProPEX Expander Tools can be purchased separate from the ProPEX heads, or in packages that include ProPEX heads as well. The PEX Clamp System is the most simple and most commonly used by DIYs, however this system is also popular with professionals in certain areas of the United States. The PEX Clamp Tool is compatible with Rifeng Crimp Fittings, and utilizes Stainless Steel Clamps to secure a successful connection. The Clamp Tool is perhaps the easiest to use and the most economical. The PEX Clamp System can be used with any standard ASTM size PEX pipe, with the exception of PEX-AL-PEX. The PEX Clamp Tool can be utilized with PEX ranging in size from 3/8" to 1". The PEX Crimp System is similar to the PEX Clamp Tool in that it is also compatible with Rifeng Crimp Fittings. The main difference between the PEX Clamp Tool and the PEX Crimp tool is the rings that are utilized when securing connections. 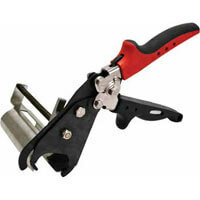 Unlike the PEX Clamp Tool, the PEX Crimp Tool utilizes Copper Crimp Rings to secure a successful connection. The PEX Crimp System is also easy to use and an economical option when choosing a PEX system. The PEX Crimp System can be used with any standard ASTM size PEX pipe, with the exception of PEX-AL-PEX. The PEX Clamp Tool is compatible with PEX sizes ranging in size from 3/8" to 1". 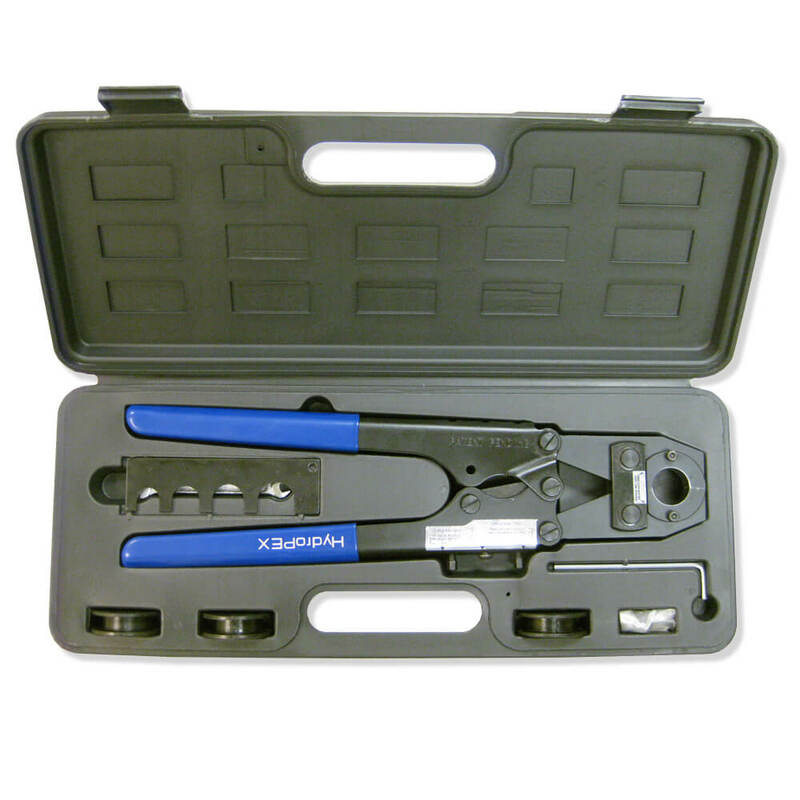 The PEX Crimp Tool can be purchased in kits that can handle 3/8" to 3/4" PEX or models dedicated to a single size of up to 1" PEX. The Viega PEX Press System is growing in popularity with professionals across the country. 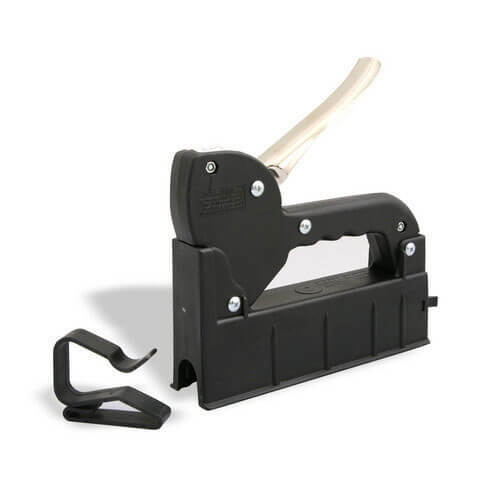 The Viega PEX Press Tool is compatible with Viega Press fittings and utilizes PEX Press Sleeves to secure a successful connection. The Viega PEX Press Tool is known for its ease of use and strong connections. The Press technology is unique to Viega and has been used for many years. It is commonly used with Viega FostaPEX Tubing, but is compatible with any standard ASTM size PEX pipe. The Viega PEX Press Tool is compatible with PEX sizes ranging in size from 3/8" to 1" and can be purchased in kits that can handle 3/8" to 1" PEX or models dedicated to a single size of up to 1-1/2" PEX. PEX to Wood Attachment Tools are utilized to attach PEX Tubing to wood quickly, easily, and with a professional appearance. Manual Clip Guns and Pneumatic Clip Guns are used to secure PEX Tubing to the surface of a subfloor. 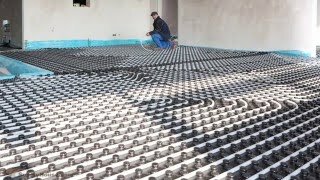 These types of installation are common in PEX Plumbing and Radiant Heat Systems. PEX Wood Attachment Tools utilize metal or plastic staples to secure PEX to the subfloor. PEX to Wood Attachment Tools are compatible with PEX sizes ranging in size from 3/8" to 3/4". PEX Uncoilers simplify PEX Tubing installations and reduce labor costs. A PEX Tube Uncoiler allows one installer to complete a PEX project where two would typically be needed. The PEX Tube Uncoiler provides a sturdy support which single-handedly feeds PEX to the installer as it is needed. PEX Tube Uncoilers can support PEX ranging in size from 5/16" to 1". PEX Tube Cutters are used for making clean, straight cuts when installing PEX Tubing. Tube Cutters are available in plastic, metal, and metal ratchet style models. Standard Tube Cutters are ideal when working with PEX ranging in size from 3/8" to 1". However, a large dimension tube cutter is available by Uponor (Wirsbo) which handles PEX ranging in size from 1" to 2". PEX-AL-PEX Tools are specifically designed for installing PEX-AL-PEX. PEX-AL-PEX requires the use of a chamfering Tool to prep PEX-AL-PEX for a connection. A chamfering tool will ensure a smooth surface is provided prior to connecting a PEX-AL-PEX fitting to PEX-AL-PEX tubing. The utilization of a chamfering tool will help ensure your PEX-AL-PEX connections are secure and leak-free connection.